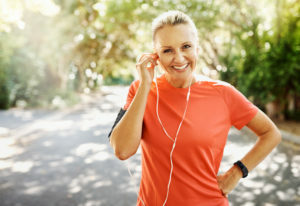 Dr. Julie Kissel and her medical team at Restorative Wellness MD offer extensive wellness solutions for women suffering from the unpleasant symptoms of aging and help women restore hormonal balance, sexual satisfaction, mental acuity, and gain a better quality of life. At Restorative Wellness MD, women can gain a better quality of life through healthy and practical approaches to help combat health concerns related to aging. Treatment plans are unique and customized to the appropriate needs of every patient and incorporate medically-based solutions to support the fundamental pillars of optimal health such as concentrated supplementation, nutritional management, and stress-management techniques. Everyone deserves to experience vitality, restore their youthful allure, and experience just how satisfying living a balanced life can feel. Contact Restorative Wellness MD to get started on your journey to health and a better quality of life today.